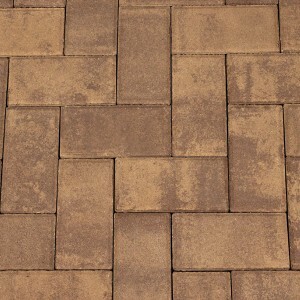 Looking for an environmentally-friendly paver? SF-Rima™ is designed to reduce stormwater runoff and decrease flooding while still providing a pavement strong enough for vehicular traffic. Stormwater runoff caused by traditional asphalt paving is a growing concern. Current drainage systems are overloaded and pollution transported by runoff is impacting our environment. 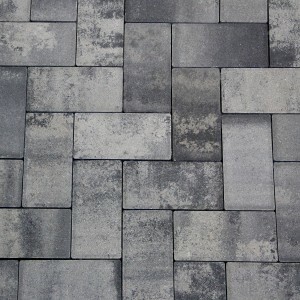 Nicolock’s SF-Rima product offers an environmentally-friendly solution for your next paving project. And don’t forget, you can obtain Leadership in Energy and Environmental Design (LEED®) credit for your contribution to helping the environment. SF-Rima is an effective and attractive economical solution for stormwater management. Eliminate up to 100% runoff by using SF-Rima to direct stormwater to ½” gaps and a permeable base. This proven, tested system has been used for decades in Europe. More colors are available by special order. for drainage. Palletized to accomodate machine installation.